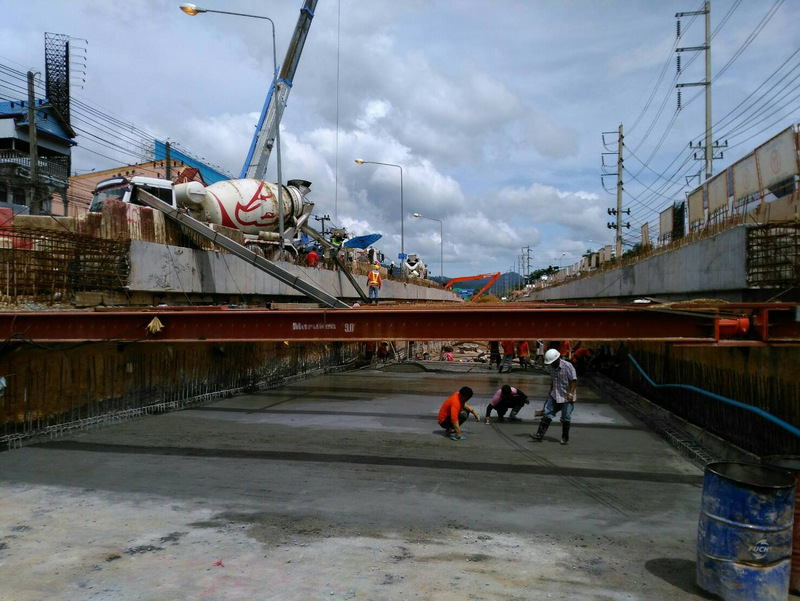 PHUKET: The underpass being built on Thepkrasattri Rd at the turn-off to Phuket International Airport is well ahead of schedule despite concerns from locals that the underpass has not been making progress. 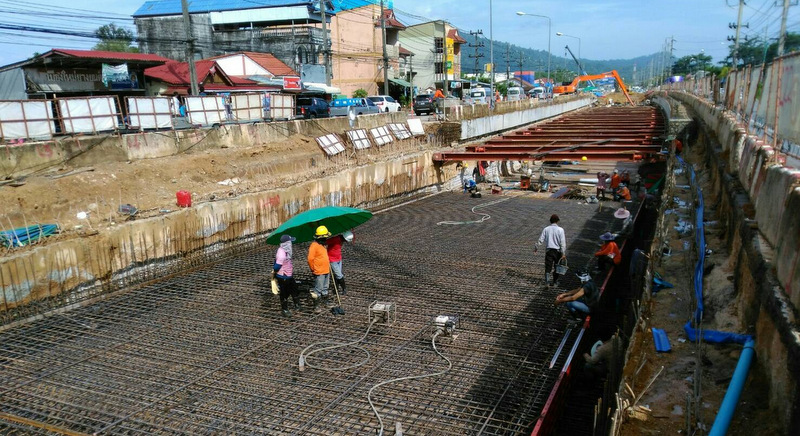 In fact, Phuket Highways Department project engineer Somkiet Yimpong told The Phuket News today (Sept 7), that the underpass – the fifth to be built on the island – is 30% ahead of schedule. “Construction has definitely not stopped. I just checked earlier today (Sept 7) and construction is ongoing right now,” he said. “Yes, in the past few weeks there have been many slow days because of the rain. The problem is that when it rains hard, like we have had in the past few days, we need to drain out the water. That is a job in itself,” said Mr Somkiet. 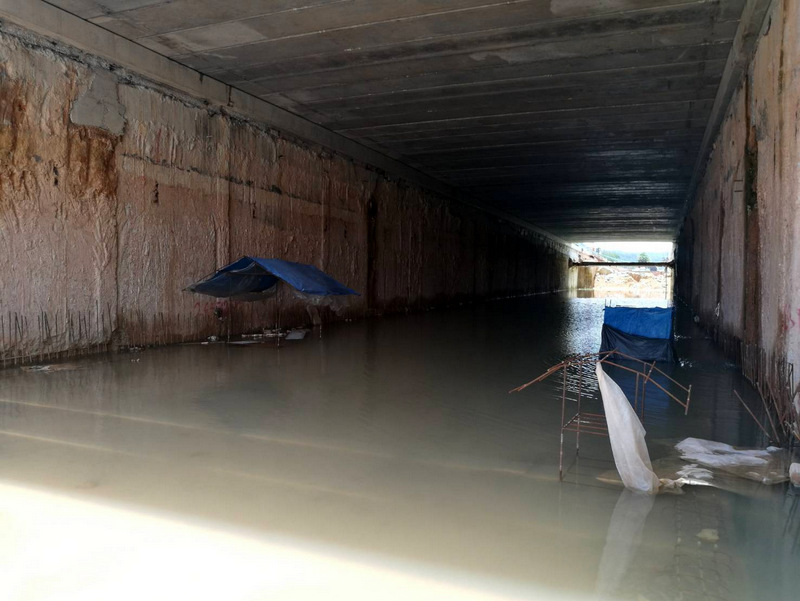 “Constant flooding makes it difficult to do the works that we need to do next, which are digging, and making a ground foundation for the road,” he added. 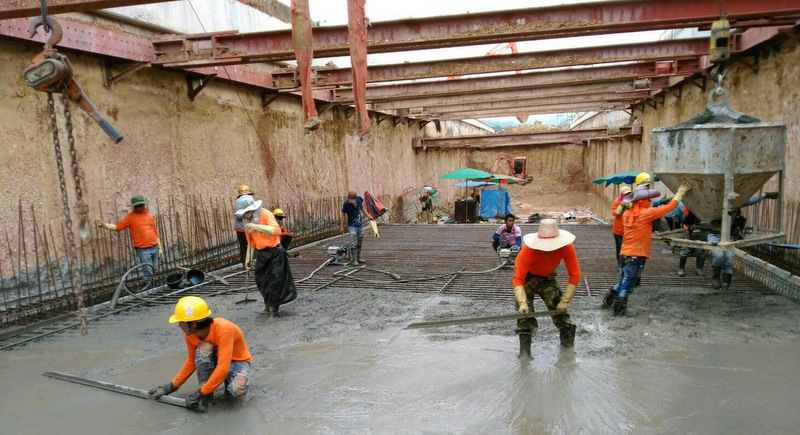 However, the project deadline remains unchanged from June 17, 2019, noted Mr Somkiet. “It feels like it will still most likely be completed within two years, maximum,” he said.